With its in-it-to-win-it attitude and a real sense of community, Olympia belongs on your bucket list. With just 60 miles separating Olympia from Seattle, you'd think the main difference between the I-5 neighbors would be their census numbers. It certainly appears that way onscreen; a 2010 poll showed 608,660 people living in the latter, and just 46,478 in Washington's state capital. Seattle was also named the country's fastest growing city last year, a feat reflected by extortionary rent increases, joyless traffic jams, and the widely held belief that all is not well with the wonderland Jeff Bezos built. No one needs a bumper sticker to Keep Olympia Weird, either. It just is. In a great way. And like Portland, there's a real sense of community here, the feeling that everyone in the food and drink scene is elevating its standards together. "A lot of independent restaurants are thriving in Olympia," says Lisa David, the co-owner of Nineveh Assyrian Food Truck with her brother Jacob. "I think it's because we hold the same values, and source as much as we can from local producers without leaning too heavily on the term 'farm-to-table'. There's still a world of chain restaurants and mall culture outside downtown that’s thriving, but there’s definitely room for all of us to be supported and do well." The lot where Nineveh is parked on a permanent basis is a perfect example of this. Leased by the local fixture Cynthia "Cyndi" Dickson for decades, it's now run by the Davids and sublet to such fellow all-artisanal-everything tenants as Arepa Latin Street Food, Akashic, and what may be the world's tiniest taproom: recent Good Food Award winner Whitewood Cider Co. Let's just say they're pretty happy about being located right next to Tzeitel Sainath and Varun Sainath's cross-cultural trailer. "It's all very dangerous," says Whitewood founder David White. "Aside from having amazing, authentic curries, Akashic serves an array of fish dishes and have the absolute best burgers in town, paired amazingly with [Indian-inspired] Gunpowder Fries." While all of that may be true, Lisa and Jacob didn't raze and replace Dickson's original Filling Station Espresso outpost with all new vendors. They kept its old customers happy by modernizing the beloved drive-thru with grab-and-go sandwiches (the ham and brie with caramelized onions is particularly popular), fresh fruit shakes, and locally roasted coffee. "We bought [Filling Station Espresso] so that someone wouldn't come in and break up this good thing we had going on," explains Lisa. See, there it is again—Olympia's in-it-to-win-it attitude. Here are 12 more restaurants, bars, and cafes that are keeping the scene compelling these days…. Before the 2016 opening of 222 Market—a collaboration between chef Lela Cross and a couple business partners, Gray and Joy Graham—Olympia's only proper food pavilion was its year-round farmers market. And while it's gone through some growing pains, including a couple recent closings, there's a reason why restless Seattleites think the sprawling 15,000-square-foot hall is worth a weekend getaway. Several reasons actually, from The Bread Peddler's separate bistro, bakery, and creperie spaces to the left-field gelato flavors at Sofie's Scoops and ace oysters of Chelsea Farms. (Oly Fog—black tea with rose petals and vanilla—anyone?) Dos Hermanos Mexican Kitchen is also set to open this spring, bringing the food truck's freshly made tacos and tortas indoors. Hidden in plain sight behind the vintage store Dumpster Values, Bar Francis is the low-key home of local barista champion Michael Elvin. The former Olympia Coffee Roasting manager runs a tight ship that's low on flash and high on flavor. If you're looking for a place to read a book and savor lightly roasted slow-bar selections without feeling rushed, this is it. Lest you think that Filling Station's outdoor food court is the only truck option in town, there's always the island-hopping items at Lorenzo Camacho and Patrick Laguana's Eastside outpost. Featuring the comfort food recipes of their Chamorro families from Guam, the duo serves up a mean Spam musubi, moist kalua pork, and several taco plates that are heavy on the coconuts, limes, and chili. 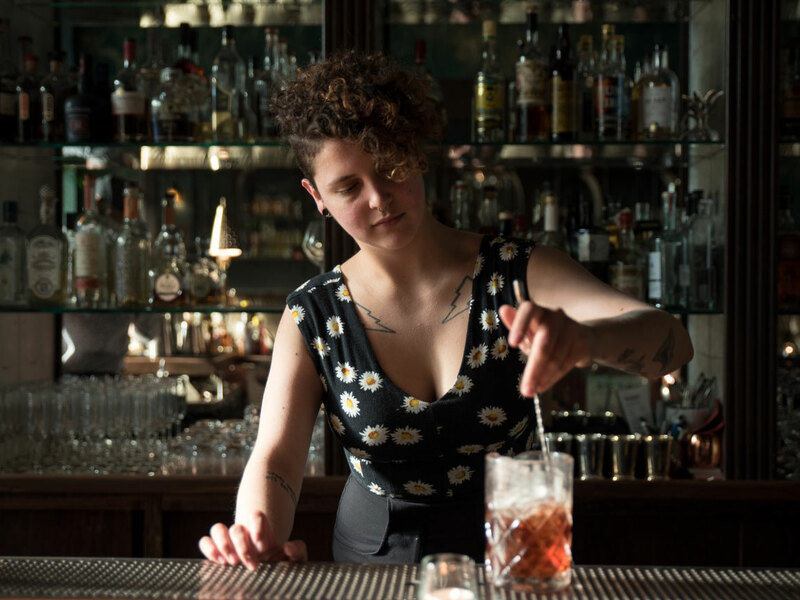 The marble and mahogany-lined remains of a butcher shop and bank vault help make Dillingers more than just a mere Prohibition nod. A rotating collection of house creations that cost just $12 certainly doesn't hurt, either, whether you're sipping a Koala Tea (gin, eucalyptus, blasts of citrus, and a creamy egg white) or appreciating the finer points of Mother's Tears (bourbon, manuka honey, coconut cream, turmeric, ginger, black pepper, star anise, and cinnamon). Ask Whitewood Cider Co.'s David White where he drinks on his off days and the answer's simple: Eastside Club. "These guys just turned 75 this year," he says. "It was my very first watering hole in Oly and is still my go to. Considered by many to be one of the old guard, and an original bastion of craft beer in Puget Sound. If you are a serious beer person, no stop to Oly is complete without bellying up to the bar here." Kim Murillo's lunch counter/tightly curated "snack depot" isn't so little now that it's in a new space on a busy corner of downtown Olympia, but it's still a stellar takeout option whether you're having lunch at your desk or packing one hell of a picnic. 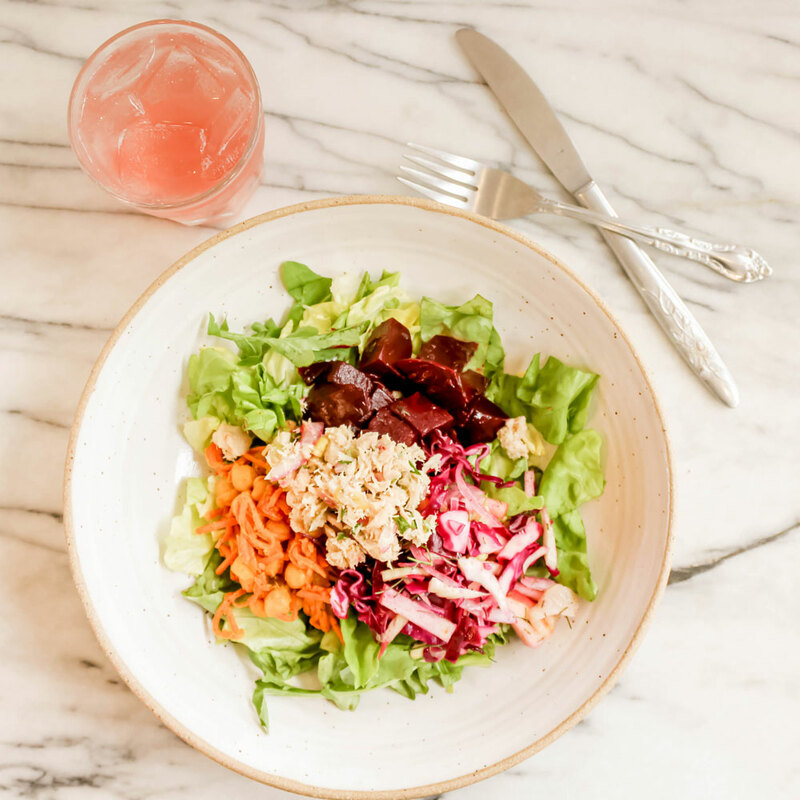 Standout hot and cold sandwiches include a pimento cheese melt on sourdough, a house-made egg salad, wild tuna plucked from Oregon's nearby waters, and two different tempeh options. True to its title, Old School Pizzeria has been serving New York-style slices in downtown Oly for decades. Pizzeria La Gitana is far better suited for date nights or anyone who's looking for a legit, wood-fired Italian pie topped with imported cheese and San Daniele prosciutto. One can't talk about Olympia's coffee scene—or Washington's as a whole—without mentioning the massive, sun-splashed flagship of Oliver Stormshak and Sam Schroeder's award-winning roastery. Pick up a pastry and watch as your cup is slow-brewed under a state-of-the-art Poursteady machine, but don't leave without a bag of bright Ethiopian beans or OCRC's versatile Big Truck espresso blend. 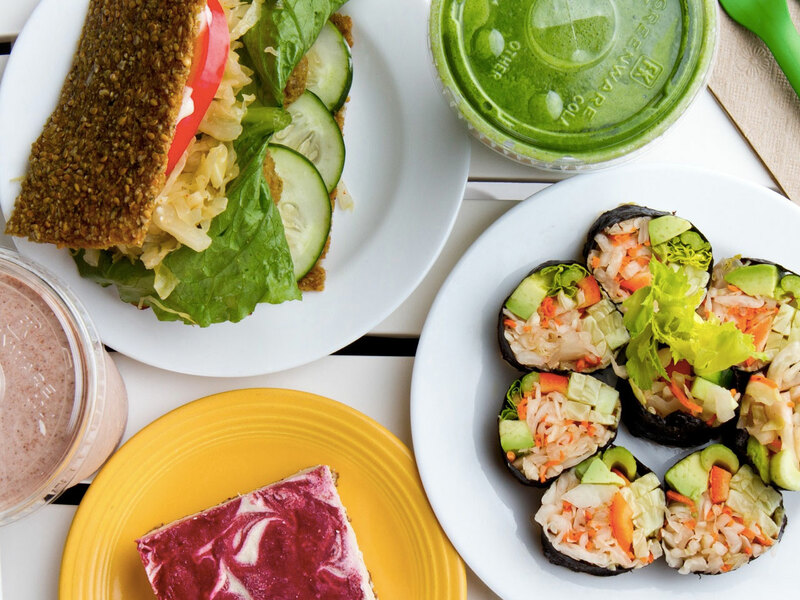 Unlike many other clean eats cafes, you won't need to mortgage your way through the menu at Peace, Love & Raw. Organic Juices and smoothies all hover around the $8 mark and often feel like a meal on their own, so you might want to split an eggplant jerky (!) sandwich topped with sauerkraut and cashewnaise and a slice of vegan cheezcake—the recipe of which changes regularly to reflect the seasons and local ingredients. Rush In's friendly counter service may be a bit too casual for some, but Portland's significant Russian population would most certainly approve of the piping hot pelmeni served here. Much more filling than their delicate, unleavened demeanor suggests, they come in six different flavor combinations, ranging from a simple Alaskan blend of onion and parsley to a peculiar Sweet & Spicy pairing of white miso paste, Sriracha, vinegar, and honey. Unlike Seattle and Portland, Olympia has more rotating draft lines serving PNW craft beer than it does actual breweries. That said, the decidedly DIY offerings at Cascadia Brewing Co. are solid, and homebrewers can pick up more than 80 varieties of fresh hops on their way out the door. A little more expansive on the menu side of things is Top Rung Brewery. Located about 15 minutes east of downtown Olympia, the Lacey taproom is run by two volunteer firefighters (Jason Stoltz and Casey Sobol) and features a bronze-winning lager, gold-winning stout, and such welcome seasonals as several IPAs that serve as a reminder of why this region produces the country's very best.